Context: The strategy of an organisation has already identified the need for major radical structural changed (merge, acquisition, downsize…). Needs: Unlike changes due to external and independent factors, the organisation is called to control and take care of the changing processes. Activity: Internal and external scenarios and landscape are simulated and evaluated in consideration of potential predicted and unpredictable factors. Change is renewal and opportunity. When an organisation is called to face changes, bringing in new people, develop new teams starting from people who never worked together before, or when an organisation needs to redefine its identity and strategy, capitalising on people and on the opportunities offered by the chance, is pivotal. A change demands for a review of its values and leading principles so that performances are improved. Leading the change, managing it and transforming it into a resource and opportunity is essential for the organisations’ lifecycle. An organisation already has all the potential it needs, yet it is not always able to capitalise properly on such a potential and it does not get to the point where everyone in the organisation is engaged with the organisation itself. And it’s in changing times that organisations have the opportunity to increase and capitalise on their main resource: people. To achieve a real change within an organisation, everyone should feel part of the organisation and should engage with the ongoing process, so that a positive attitude can be build and perspectives may be regarded positively. To get a constructive attitude that let the new values to be shared and accepted by everyone, communication should change: there’s no innovation or change if old habits are repeated, therefore, there’s no room anymore for those endless meetings where people does not care, where participants are detached and sceptical, like if what is discussed would not affect them. A detached behaviour leads to resistance and distrust. To really change, the change in goals should be proved by a radical change in the approaches. A new approach is required, where participants communicate, share and are highly engaged and committed as an active and participative part of the change, and not as recipients of the changes. Only through inclusive and constructive approaches, change can turn into an opportunity. 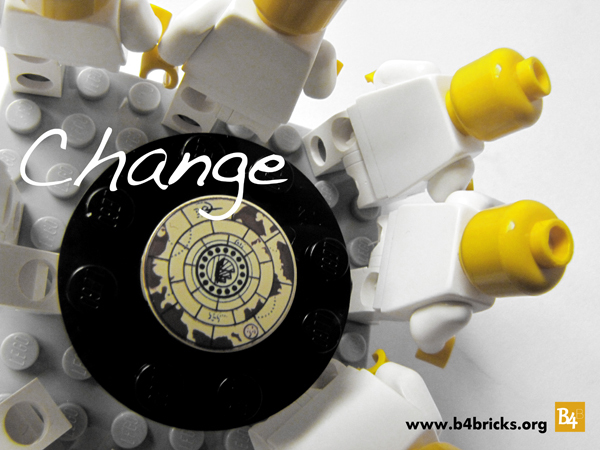 In the LEGO® SERIOUS PLAY™ method based workshop, all participants are called to express themselves and to contribute to the definition and management of the change. Everyone takes part and shares their vision, without the possibility to have imposed visions and positions, since all participants are equal during the workshop. The workshop is designed together with the teams and the organisation, so that strategic objectives can be clearly identified and activities can be designed to be effective through the whole organisation’s involvement during the change process. The LEGO® SERIOUS PLAY™ based method engages all participants, who feel highly committed in a collaborative atmosphere, where trust and shared meanings are built collectively. Activities take participants to a journey, where they first explore their individual visions and perceptions, then they share their insights and construct common values that will represent the starting point to manage the change effectively. Participants, through the LEGO® SERIOUS PLAY™ based activities, reflect, conceptualise and think differently, with a high emotional engagement, sharing values and ideas that will become the guidelines that will drive the change. More activities will involve participants to consider potential landscapes and scenarios that would hardly emerge otherwise, so that changes can be faced collectively and through the definition of a shared and wide vision. At the same time, interaction mechanisms activated during the workshop, engage participants and enhance sharing and participation that will turn the group into a team. Manager, project leaders, working groups, organisations facing major changes. This entry was posted on May 4, 2013, 1:51 pm and is filed under Uncategorized. You can follow any responses to this entry through RSS 2.0. Responses are currently closed, but you can trackback from your own site.